Welcome to State Capital Information Service, Inc. Same information, but now more mobile friendly! 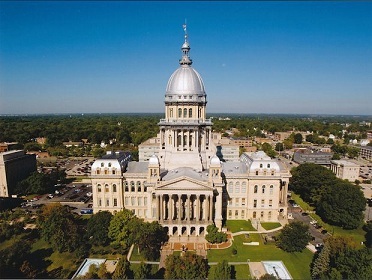 Here you will find the most up-to-date private reporting available for legislative activity in the State of Illinois. Whether you are using our printed daily reports or our exclusive Bill Tracking System to track the progress and history of individual bills, you will find this your one-stop shop for legislative information. The SCIS Website has been extensively enhanced to include better navigation and many new features. We hope you find the new SCISInc.com easier to use and better suited to your specific needs. If you have any questions or suggestions for new features, please contact us. To see a summary of our products and services please click below to see our brochure. Or you can visit our "Products" page to see a screenshot and sample report for yourself. As always trial accounts are available upon request by contacting SCIS@SCISInc.com we will be happy to get in touch with you and show you why we are one of the oldest and most trusted sources for legislation updates in Illinois.